The Smarter Guidance team has been working to make content smarter -- make it more readable and clearer for users. But how do we measure if we've been successful? 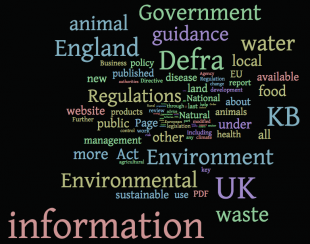 I've devised one way and while it'll take more than a blog to go through the overall figures, let's look at one example - bluetongue. 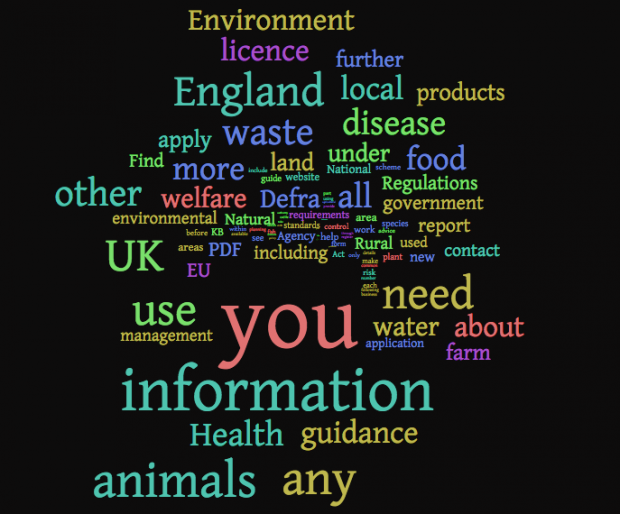 Titles 1 word:“Bluetongue” (although it was in the A to Z of notifiable diseases, which all have brief titles) 8 words:“Bluetongue: how to spot and report the disease” More descriptive title with a focus on an action. Makes it easier to distinguish with other pages, eg, “Bluetongue in Greece and the European situation”. Content length 2,874 words 304 words Almost a tenth of the original length. Along with a clearer title, this makes it more focused. 21% Readability has improved. Shorter sentences with fewer complex words. Also has fewer words that readers may not understand.Main need clearer - to get users to report suspected bluetongue outbreaks. Includes advice on signs to look for.Old version was a mish-mash of news, legislation and history of the disease, along with how to report it. 'Must': 3.2 Counting the number of certain words and how frequently they appear. This serves as a way of getting an idea of who the content is aimed at. References to the audience as 'you' have gone up. We look for 'must' as this is the word we tend to use when telling the user what they have to do to follow the law. 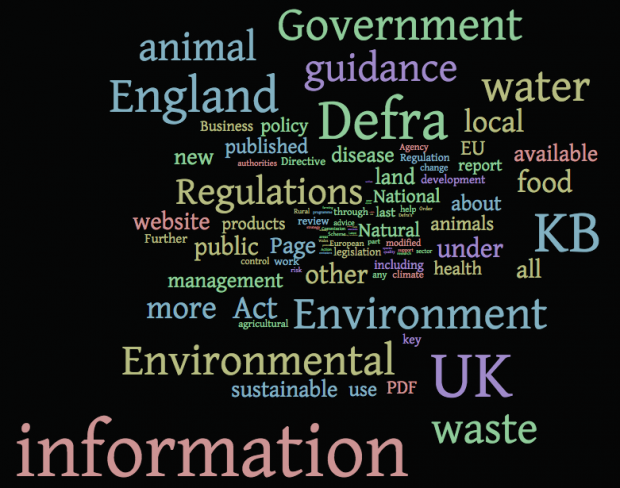 'Defra' appears to have gone up (not good - as this suggests we're writing for Defra, not the user) but we're looking at frequency per 1,000 words and the article was only 304 words. The other thing to be aware of is that this analysis is condensed and the programs that run the analysis are just that -- programs, so it's still down to our judgment for what the output means. Also with the Smarter Guidance article only being 304 words it means that references per 1,000 words is skewed. contact rates to contact centres -- this is the first link in the Smarter Guidance version, has this made a difference to when and how users get in touch? So is guidance smarter? Yes, measurably so. This is just one example but is indicative of the general changes Smarter Guidance has made and the expected benefits. 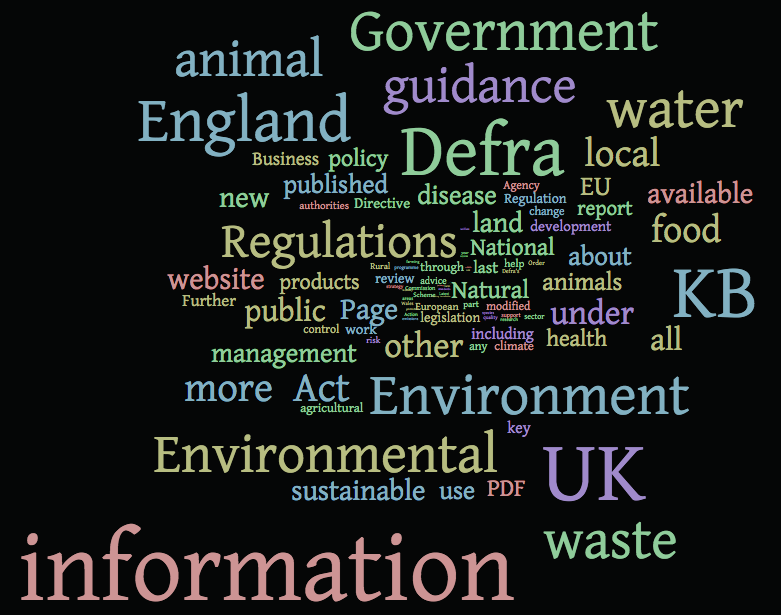 To give you an idea of these changes, here is a comparison of the most common words on the old Defra pages and the GOV.UK Smarter Guidance ones. Spot the difference in the intended audience. Blog written by Jonathan Richardson. This is a really useful example of measuring 'technical' improvements to content (before the 'testing with users' part). Hi Joshua, I used a few programs. The main ones were the Perl Lingua modules (including Fathom). There is also Python Textstat that I've not used but has been recommended. For frequency I used AntConc to get the wordlist and some manual calculations to get the frequency.